Here at Mounted Memories Ltd we treat each and every item as if it is our own, ensuring conservation standard framing practices are carried out on all products. Too often we see substandard framing, which will deteriorate over time, potentially damaging your items. 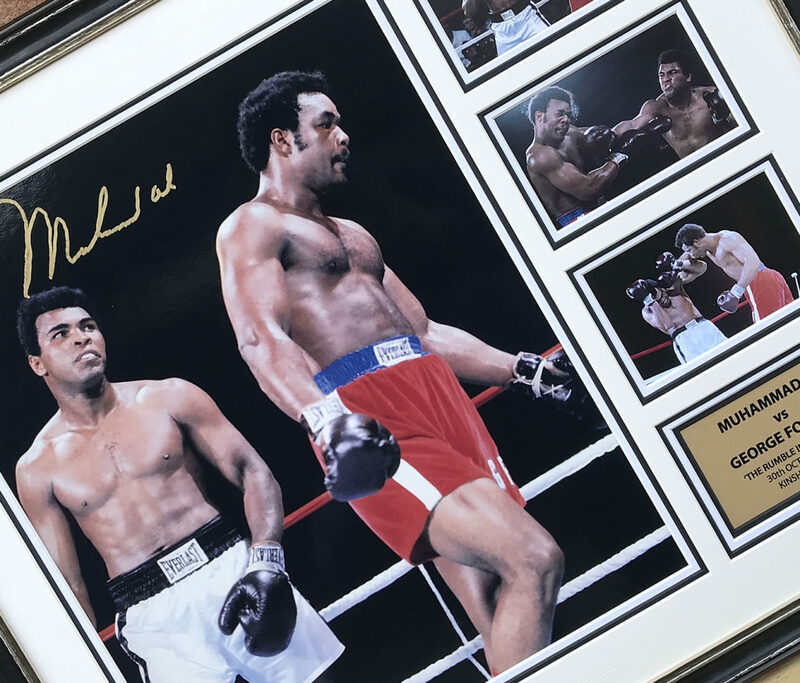 We therefore have put this guide together to help educate on what conservation framing is and how it will benefit your cherished items. Museum level – For framing valued original works of art, particularly rare items of memorabilia. Conservation level – For framing original and limited edition art, along with items of memorabilia. Standard level – For framing non valuable prints and posters. Why do works of art need protection? Items, paper in particular, are sensitive to it’s surroundings: it can be adversely affected by damp, changes in temperture and humidity, restriction of movement and exposure to light. Items will also react to the materials with which it is in contact such as acidic support boards and self adhesive tapes. Evidence of damage caused by adverse conditions can be seen in pictures with mount burns, foxing (small brown spots), fading of pigments or darkening and increasing brittleness of the paper. 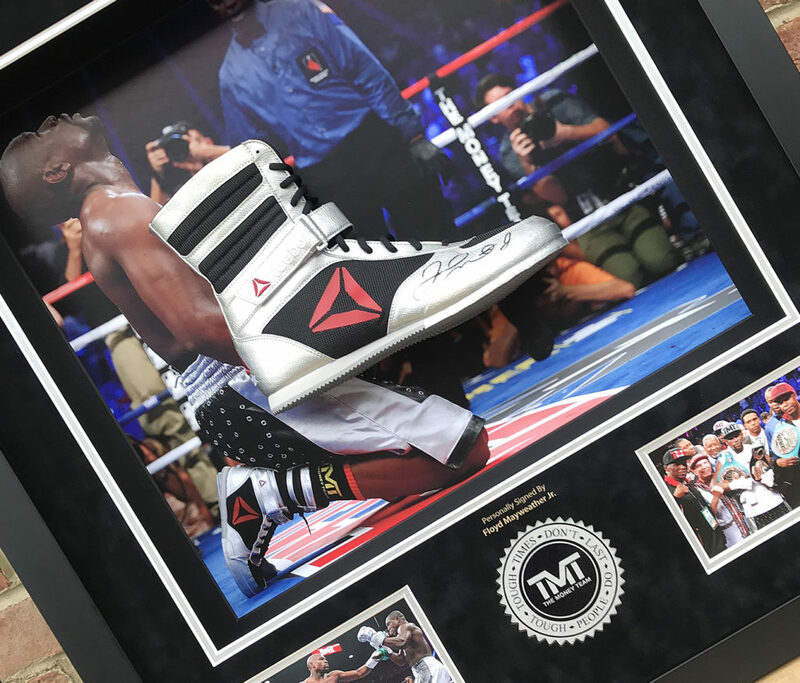 With our specialism in sports memorabilia, it is important that you protect your items to the highest level. To witness the fading of a photo or a signature over time will decrease the item’s value, so please ensure a few extra £’s are spent to prevent this occurring….it will be worth it in the long run. As standard all our items come framed with Superclear glass or 3mm Acrylic. One of the main upgrades we offer, along with levels of protection to consider for your item, is the glass. We stock UV clear and UV non glare glass. Over time exposure to indoor and outdoor UV light rays can contribute to fading and deterioration of art, photographs and other important personal keepsakes. Conservation glass effectively blocks 99% of UV light rays to protect against fading and help keep framed pieces brighter, longer. All our upgraded glass is Artglass and our upgraded Acrylic is Tru Vue Museum Acrylic. Please view the two videos below to see the effects of UV light damage to items and the benefit of upgrading to Artglass. 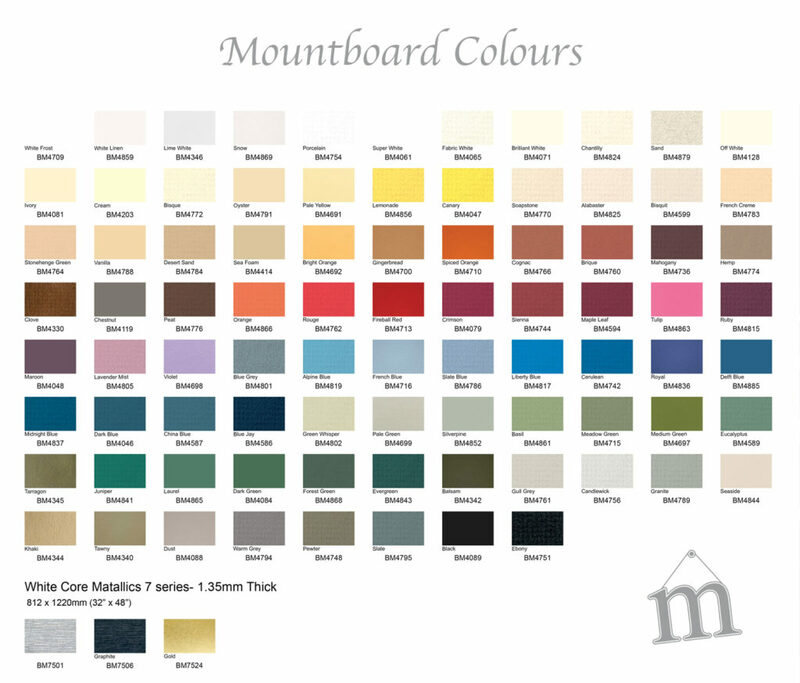 We have over 100 colours of mount board in stock. Over 50 of the colours meet the conservation standard of mounting. 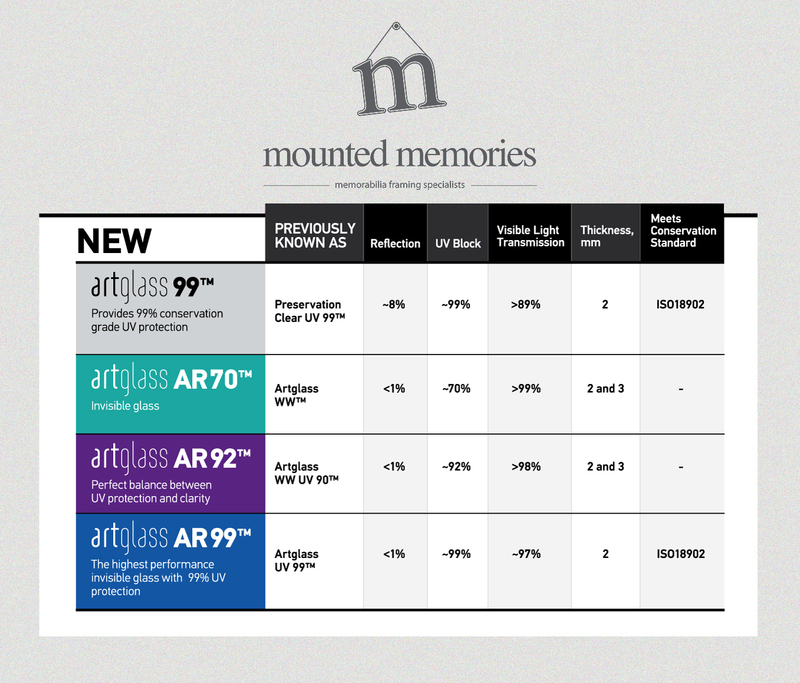 We also have a range for museum mounting. Due to the item being in direct contact with the mount, the choice of mount board is crucial to protecting framed works of art on paper. Most of our mount board is of conservation quality suitable for most prints and pictures. Our museum range is suitable for valuable works of art and will protect the item for years to come. The colour selector to the right is just a few of the colours we can provide, please come and visit us to view our full range.